A narrow dirt road stretches along Quonquont Farm’s apple orchard, proceeds by a lone bench and up a small hill before disappearing into forest vegetation, which, last week, was verging on its annual change from vibrant green hues to rustic oranges and deep reds. From a thicket of reeds surrounding a beaver pond, crickets sing a rhythmic ballad emphasized by the thud of falling fruit as grownups chase children up and down the rows of the farm’s exclusively pick-your-own apple trees. 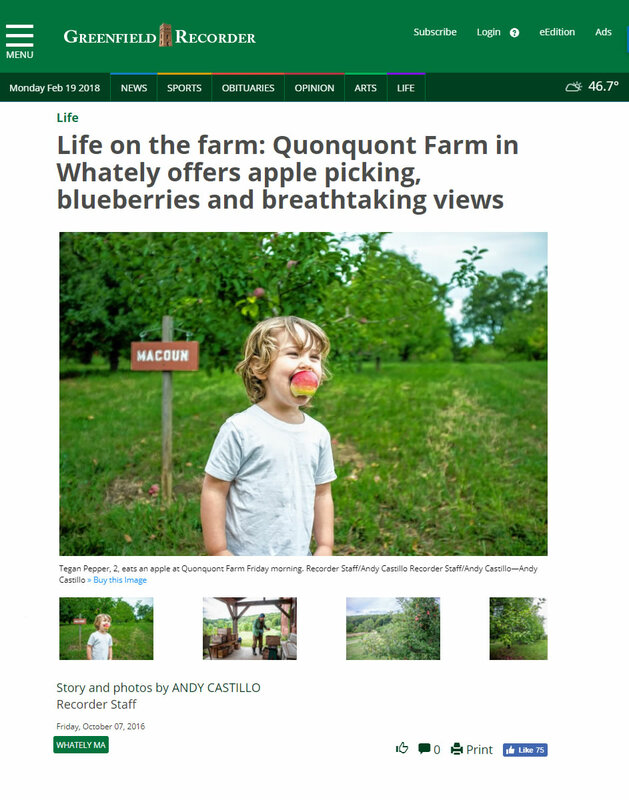 The 140-acre farm on North Street in Whately, dating back to the early 1920s, was named after a 17th century Native American chief who lived near the Connecticut River.